> Kabler & ledninger>Netværkskabler>Data KAT6A UTP Blå inst. Data KAT6A UTP Blå inst. 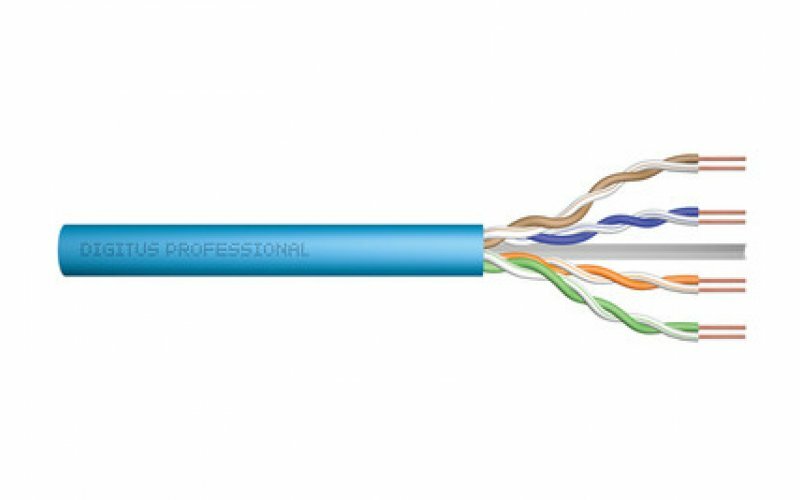 DIGITUS Category 6A U-UTP installation cables are manufactured and tested to the ISO/IEC 11801, TIA/-586-C.2 and EN 50173 Category 6A specifications. Every cord consists of 8 color coded AWG 23 polyethylene insulated con-ductors. The conductors are twisted together to form 4 pairs with varying lay lengths. Printing details along the outer sheath includes the brand name and item code. The cable is packed in a paper pullout box which makes the installation easy.